Are you curious to know how much you qualify for? I always stress to buyers that the first step to buying a home is knowing what your purchasing power is even before we start looking at homes, there are few things more disappointing than finding a home you are totally in love with and then realizing that you can’t qualify for it. Let’s chat for a few minutes to see what your buying power is, reach out to me via Email/phone/text, here is my contact info: yesenia@newcenturybroker.com / 626-252-0839. September marked the 79th month in a row of year-over-year home price increases. The median existing-home price climbed 4.2 percent to $258,100. This price increase is partly because of a supply decrease; inventory levels—especially levels for affordable homes—continue to hover near record lows. While price gains are beneficial to homeowners looking to sell, they also affect housing affordability for buyers. 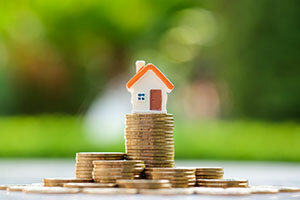 Buyers are also seeing their purchasing power decrease due to rising mortgage rates. The impact on the housing market has seen a slump in sales activity in all regions of the country. After a stagnant August, existing-home sales declined again in September to levels not seen since November 2015. Of all the homes sold in September, 32 percent were purchased by first-time buyers, up from 31 percent from a month ago and 29 percent from a year ago. According to the National Association of Realtors’ (NAR) 2017 Profile of Home Buyers and Sellers, first-time buyers made up 34 percent of the home-purchasing public last year. “Rising interest rates coupled with increasing home prices are keeping first-time buyers out of the market, but consistent job gains could allow more Americans to enter the market with a steady and measurable rise in inventory,” said Lawrence Yun, chief economist for the NAR. The latest housing inventory figures do not suggest a steady rise in the supply of homes on the market. Inventory levels fell from 1.91 million available homes in August to 1.88 million. However, year-over-year listings are up, as there were only 1.86 million homes listed on the market in September 2017. At this sales pace, the current housing stock would sell in 4.4 months, up from 4.3 months in August and 4.2 months in September 2017. According to Yun, “There is a clear shift in the market with another month of rising inventory on a year-over-year basis, though seasonal factors are leading to a third straight month of declining inventory.” The average home took 32 days to sell in September; in comparison, properties stayed on the market for an average of 29 days in August and 34 days a year ago. Of all homes sold in September, 47 percent of them were on the market for less than a month. Realtors expect this fast pace to settle down a bit as winter approaches. Northeast – Existing-home sales annual rate of 680,000; a decrease of 2.9 percent from August and 5.6 percent from September 2017. Midwest – Existing-home sales annual rate of 1.28 million; unchanged from August but a decrease of 1.5 percent from September 2017. South – Existing-home sales annual rate of 2.11 million; a decrease of 5.4 percent from August and a slight decrease from the 2.12 million sales posted September 2017. West – Existing-home sales annual rate of 1.08 million; a decrease of 3.6 percent from August and 12.2 percent from September 2017.